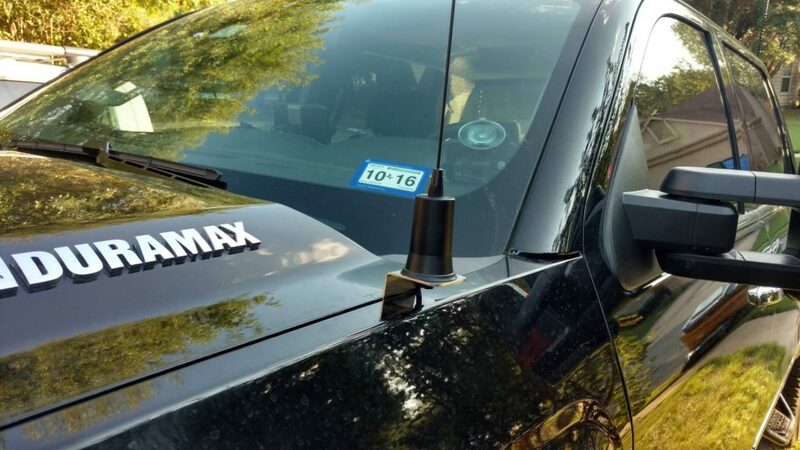 I received my Larsen NMO2/70B (B is for black, otherwise it is silver) antenna today and the mounting hardware specific to my truck. 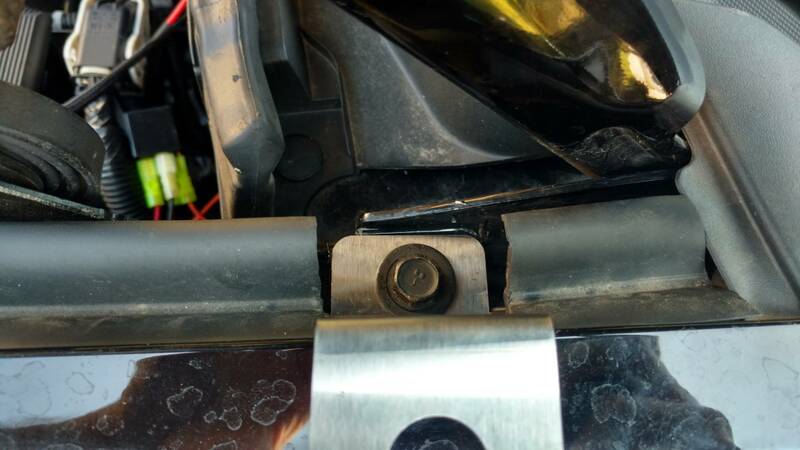 I had to cut the weather stripping around the bracket, and the small portion on the side facing the cab didn’t have enough surface for the adhesive to re-stick. I pulled out my 3M exterior attachment tape, cut a 3/4″ square, and used that to stick it back on. The completed install looks like this. For now, I just have the wires bundled up under the hood until the radio comes in.